E.T.A. 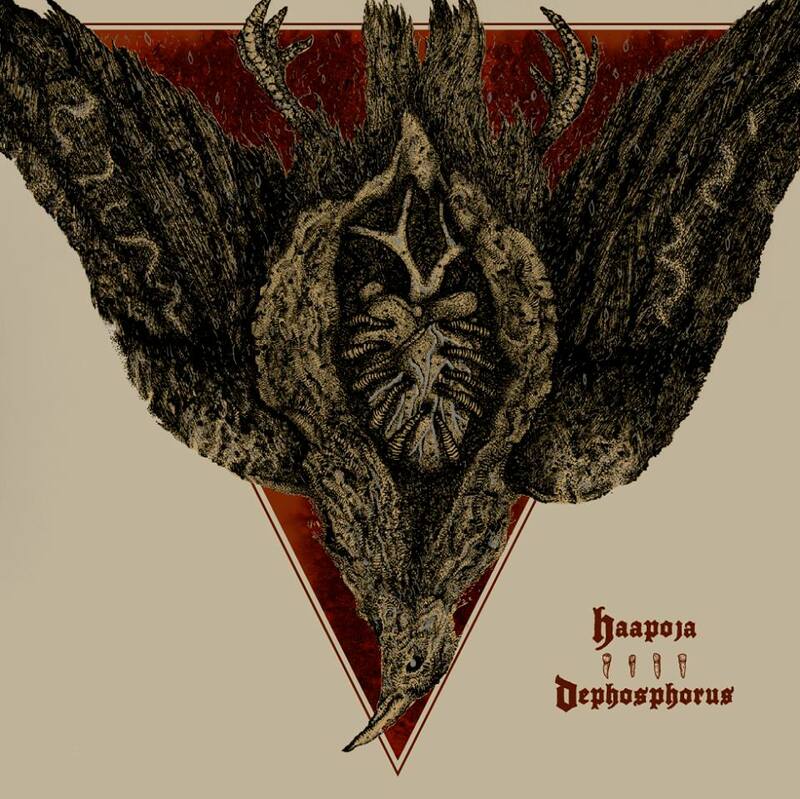 and cover artwork of DEPHOSPHORUS/HAAPOJA Collaboration LP! To be released on the 12th of February 2015 via 7 Degrees Records (Germany), Handshake Inc. (Canada), Nerve Altar (U.S.A.). Cover artwork by Viral Graphics. More details to emerge on the following days. Stay posted by either subscribing to this site or dropping an email to bodybag666 [at] gmail [dot] com in order to be added to our mailing list. All hails for the ongoing support and beast wishes for 2015! This entry was posted on January 23, 2015 by dephosphorus. 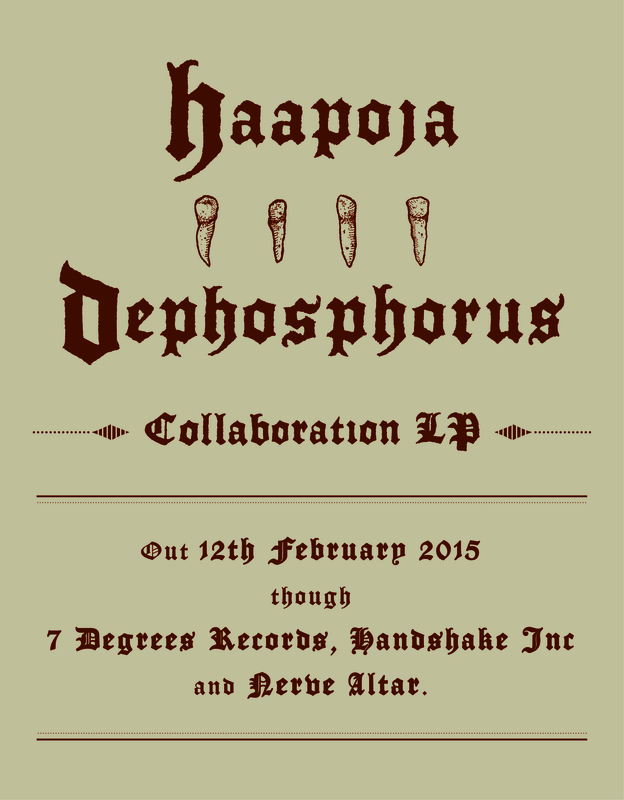 It was filed under Dephosphorus/Haapoja Collaboration LP .